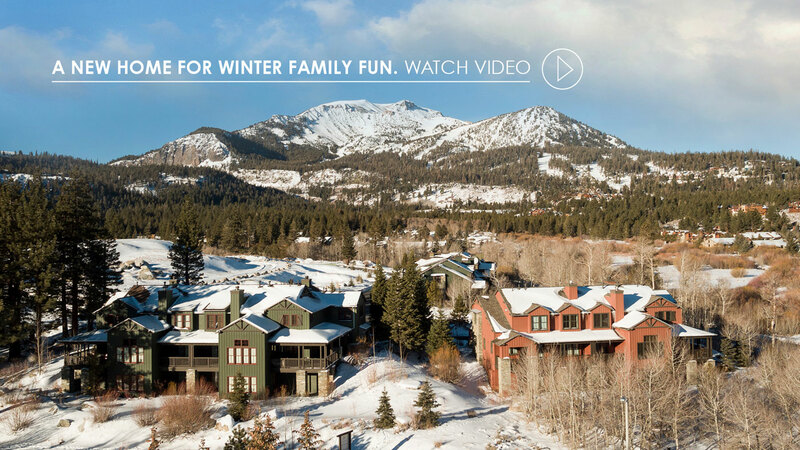 Set against the Eastern Sierras with spectacular panoramic views of Mammoth Mountain, Mammoth Rock, and Sherwin and White mountain ranges, Snowcreek Resort offers a wilderness sanctuary with more of everything you love in resort mountain living. More pristine wilderness and natural beauty surrounding you in a 449-acre alpine village set within Snowcreek Meadow Preserve that includes meandering Mammoth Creek through your backyard. More adventure with Mammoth Mountain just minutes away and miles of hiking and biking trails to choose from. More resort amenities and world-class service ranging from a Ted Robinson 9-hole scenic alpine golf course and driving range, to a 30,000 sq. ft athletic club and spa with tennis courts, racquetball, wellness classes and indoor/outdoor pools. And more time with your family and loved ones that you’ll never forget. Experience Snowcreek Resort and connect to the mountain and each other on a deeper level.